Update: The Sunwolves will field a team of Kiwi and Australian rejects if forced to play in Super Rugby next year after it was revealed they'll be axed from the competition. SANZAAR will announce on Friday that the Sunwolves will be removed from Super Rugby, but at this stage the Japanese franchise will still be expected to field a team in 2020, given that is when the current broadcast agreement runs to. However, most of the Sunwolves' best players are also contracted to clubs in Japan's domestic Top League tournament, which is where they earn the bulk of their salaries. 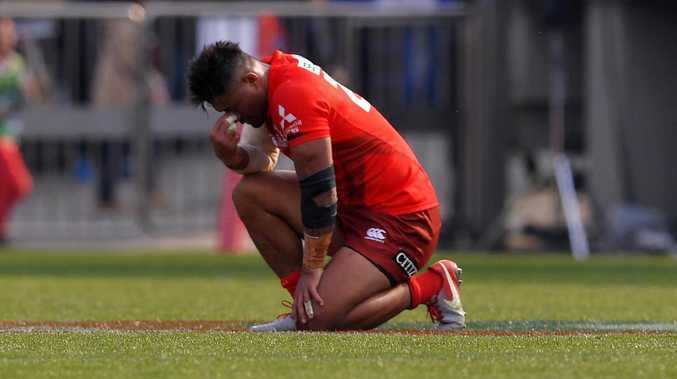 Because the World Cup is in Japan this year, the 2019-20 Top League season has been pushed back and will clash with the 2020 Super Rugby season, meaning these players will not be available for the Sunwolves. In their place will be second-tier Kiwi, Aussie and South African players who are not offered Super or Top League contracts; many would either be veterans in their final year, or rookies with no professional experience, leading to the possibility of embarrassing blowouts and integrity issues. With the news that they are to be cut from Super Rugby, the Sunwolves have no bargaining power to lure quality stars. There is real concern that if the Sunwolves are forced to play in 2020, their ability to compete would be compromised, leading to fan disengagement that would only exacerbate problems broadcasters feel now with low ratings. The team, introduced into Super Rugby in 2016, was on its way to Singapore on Wednesday for their match against South Africa'sLions when news broke of their demise. SANZAAR officials met on Tuesday and resolved to remove the Sunwolves, two years after they decided to axe Australian franchise Western Force. From 2021, the competition will revert to 14 teams, and the convoluted conference system has been scrapped in favour of the round-robin system previously used in early seasons. Moves to get rid of Japan's Super Rugby outfit have been in the works for weeks. South Africa were the architects of the Sunwolves' demise. Their teams have been opposed to travelling to Japan and Singapore to play them since their introduction. All of the participating nations in Super Rugby have been financially propping up the Sunwolves in the hopes of luring morerevenue from the untapped Asian market. It had been hoped that after two or three seasons, cashed up Japanese companies would back the Sunwolves and make them independently sustainable, but that has not materialised. While Rugby Australia and New Zealand were keen to persist with the Sunwolves as a long-term strategy for growth in Asia, South Africa was vehemently opposed. 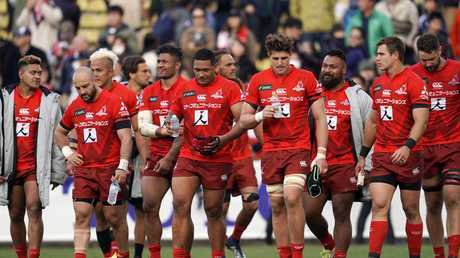 It's understood there were threats of financial penalties from South African rugby officials to Australia and New Zealand if the Sunwolves remained. Given that South Africa provides the bulk of broadcasting revenue for the SANZAAR nations in Super Rugby, a proposed 25 percent decrease in rights revenue would have been debilitating for Australia and New Zealand. Reverting to 14 teams from 2021 means the three conference system will be scrapped, and Super Rugby will go back to the traditional format where each team play each other once before a simpler four-team finals series. While there will be less games and therefore content, broadcasters are betting the simplified format will lure more fans towatch games and therefore increase interest. Teams will have less home games to make revenue, however SANZAAR is expecting to grow broadcast revenue in their next deal to make up that shortfall. Also, the money each nation was tipping in to keep the Sunwolves alive will now be put back into their own systems.